Home › Social Media Strategie › Social media and the Brussels attacks – have we learned from Paris? Belgians, did you notice that following the horrific events of March 22, very few Facebook ads were showing up in your newsfeed? Same with page updates? That’s no coincidence. This article was originaly posted on Linkedin. Put all ads on hold immediately. Put all scheduled page posts on hold too. In the hours following the events, everyone decided to pause all marketing activities until Saturday, when the 3 official days of national mourning are over. Be very very very very careful with how we expressed ourselves online. It’s not our role to stir up emotions and frustrations. And by all means: no expressions of sympathy where your own logo or products are included. BIG exception: public services. 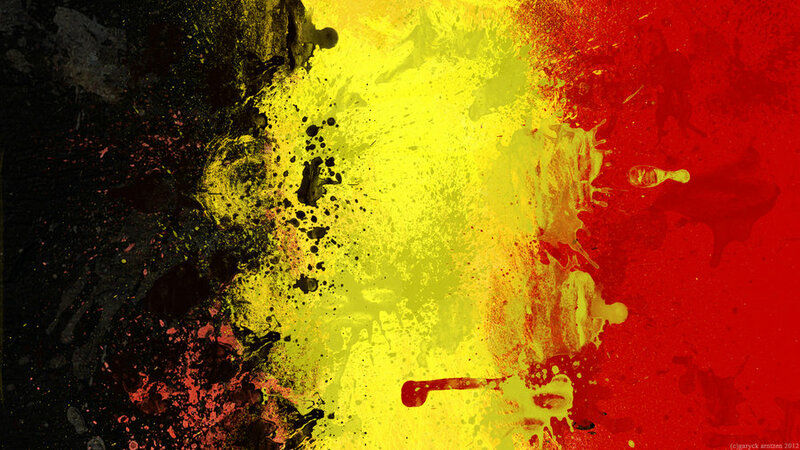 A “mourning” profile picture is the equivalent of a half-mast Belgian flag in front of their offices. Those who are managing pages of public services (public transport, police, airport authorities, airliners) knew that they had a very long day ahead. All emergency procedures were put in place. Read how Kim Castro (head of the social media team of the Belgian National Railway Company) and his team experienced March 22nd. Many of them had product launches that had to go live at the same moment in all European countries. Difficult professional situations, that become very irrelevant when you are worrying and waiting for an “I’m ok” message from colleagues, friends and family. For many of us, when coping with our own shock and emotions, it’s difficult to figure out how to communicate during such events. First and foremost: remember that you are communicating as a brand, leave your personal emotions out of it. I wrote a blog about it after the Paris attacks: The Paris attacks: how (not) to react as a brand? Do not piggyback on personal drama. Just don’t. You using this situation to come across as a brand that is “humain” and “caring”… is just nasty. There is no level of nastiness that covers you using the situation to sell more. Make your message as neutral as possible. Avoid religious and political statements. That stock image you would normally use for “teamspirit”? Not the right move. You are not part of a team. You are not fighting together. There are 5 situations in which it’s ok to communicate. One of them being that your offices are located within the affected areas, as your customers/suppliers/partners might be worried for your personnel. Images below: Two organisations whose offices are located above and next to the attacked metro station. I strongly advise against using your logo to express condolences: Groupon doing it wrong. Eén (Dutchspeaking national broadcast) doing it right. “Give each other a big hug tonight. We wish you strength on this tragic day.” Eén also decided to keep on posting about their programs (as the normal TV schedule is all messed-up due to extra newsflashes) and include candles in all of them: #lightsforbelgium. However, RTBF, RTL-TVI and VTM keep on mixing up their feeds with news and the regular promotions for programs. For Sports channel Sporza it seems to be business as usual. Little or no reference to the traumatic events. A big contrast with their cousin “één”. Moggy’s and Gate2 (located in Zaventem, yep…) thought it was an excellent moment to promote their brand or event (yes, it was boosted AFTER the attacks). The Moggy’s post says: “Color, to brighten up your day in these difficult times.” All that was missing is the price of the dress and a direct link to a webshop. Or how about this POSCA (Uniball) post? Don’t. Just don’t. And let’s not forget that we are living in a globalised world. It’s a bit strange to see ads from American sites saying: “What a wonderful day!” in the midst of news flashes on terrorist attacks within your country. If you have an international page (like Amazon, Zalando, etc.) make sure to use the restrictive targeting in Facebook to the affected country in Facebook for all your posts. Because in the end, we little Belgians are resilient. And we have a warm big heart. And very long arms to give big hugs. So, in summary: Yes, we have learned from Paris. We have showed more empathy to a shocked society and mourning families. We have seen how government organizations succesfully used social media for fast communications in a country where the telecom network was oversaturated. And we have seen a country working together to deal with an awful crisis.